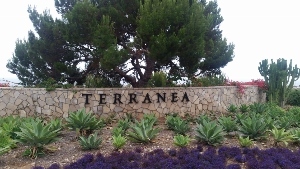 Our client was returning from dinner and drinks at Terranea in Rancho Palos Verdes. He and his girlfriend were returning to Inglewood in his BMV 740. He was familiar with the roads and wanted to feel the car perform like a performance vehicle. After our client accelerated quickly through the Malaga Cove Plaza area, Palos Verdes Estates Police made a traffic stop of our client for allegedly exceeding the posted speed limit along Palos Verdes Drive West. The Point of This Summary: As in the first DUI summary, a speed limit is only valid if it based upon a current traffic survey. Thus, a traffic stop for violating an improper speed limit is an illegal traffic stop and any evidence gathered thereafter is an illegal search and seizure, meriting exclusion of the evidence (the officer’s observation of the odor of alcohol, i.e.) and dismissal of the case. The police officer was very rude to our client, who was African American. It was his birthday and he told the police officer this, who ignored him. Without conducting any field sobriety tests, he immediately handcuffed our client and loaded him into the police car, to the shock of our client’s girlfriend. Our office then subpoenaed the traffic surveys for the block of the road at issue to verify that the existing traffic surveys were current according to Vehicle Code § 40802. It turned out that a traffic survey of the block at issue had never been done at all. Palos Verdes Estates apparently had posted the speed limit by extrapolating or extending the traffic survey to cover the stretch of road at issue for our client. We first “locked” the police officer into testifying at the DMV hearing that the only reason he pulled over our client was his observation of our client’s speed being higher than the posted speed limit. We then filed our Motion to Suppress, arguing that under Penal Code § 1538.5 that the judge had the power to, and should use that power, to exclude all evidence gathered by police after the traffic stop. California law holds that a traffic stop is illegal when based upon a mistaken belief that there is a violation. It does not matter how reasonable the officer’s belief is. In the case of our client, we argued, he was not violating the posted speed limit because the posted speed limit was illegal. It was not backed up by any traffic survey of the road at issue. We argued that the traffic survey from another section of Palos Verdes Drive West could not be extended to apply to our section of road because for the area where the survey was conducted, it was single lane in each direction, with no center divider, with home driveways along the roadside and with a very narrow shoulder. In contrast, the area where our client was observed allegedly speeding was two lanes in each direction, with a center divider, with no houses along the road and with full, wide bike lanes. We used Google Earth photographs to show the area. 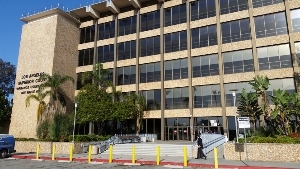 The judge in Torrance agreed and granted our motion. Our client, age 41 and with a few convictions on his criminal record, was very happy with the judge’s ruling. If the case had not been dismissed, it would have been his second DUI within the last ten years, so he was looking at punishment which included, at a minimum, 96 hours of jail time and an eighteen month alcohol awareness program, as well as at least $1,850 in fines. He had also refused to submit to a breath test and was extremely loud at the PVE jail.